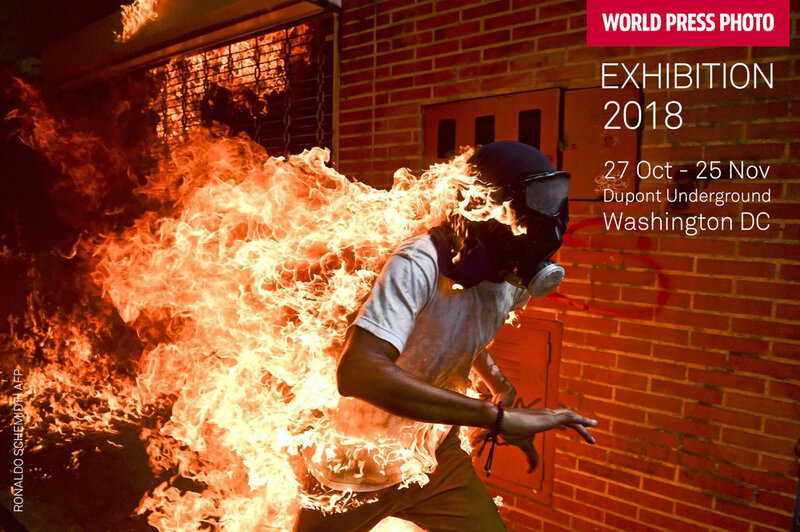 Join the World Press Photo Foundation and the Lightscape Foundation for the opening reception of the World Press Photo Exhibition 2018. This exclusive gathering will bring together representatives from the think-tanks, universities, embassies, international-, media-, and civil society organizations that made this second year of the exhibition possible. A limited number of tickets will be made available to those wishing to donate to support making the exhibition an annual event. The opening will feature presentations by 2018 awardees Ronaldo Schemidt (photograph of the year), Ami Vitale (1st prize nature stories) and David Becker (1st prize spot news stories). Our sincere thanks for being part of the exhibition community and we look forward to welcoming you to the Underground!